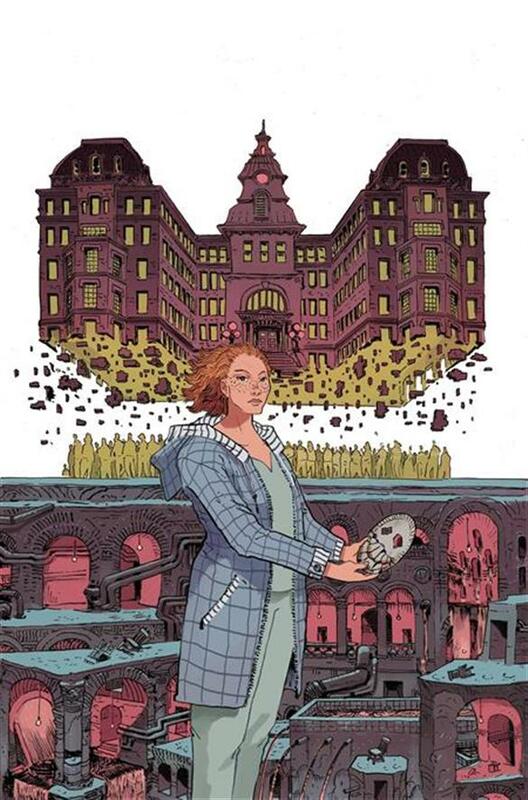 The Fellowship was fortunate enough to obtain a copy of THE UNSOUND #1 from BOOM! Studios. Cullen Bunn writes, Jack T. Cole draws and colors, and Jim Campbell letters. It’s Ashli’s first day at Saint Cascia, and she’s a little nervous about working there. She’s a nurse, and it’s a mental health facility. Nurse Jeffers is in charge, though her welcoming skills are less than stellar. Ashli gets started right away, meeting a few of the patients pretty quickly. She also has an interesting experience in the staff lounge, and it’s clear that something very strange is going on here. This first issue does a delightful job of not giving any hints as to the nature of the weirdness. But weirdness there is, and Ashli’s in for quite an adventure (whether she wants it or not). There’s as much history here as story, too, and there’s also a subtlety in the art that makes it hard to pin down what’s going on (at least so far). This is a really hard book to label, and I love that about it. One word I can use to describe it is intriguing, and I’m already hooked. Pick it up and you will be too. THE UNSOUND #1 is available now from your local comic shop, or online at boom-studios.com.